Quickbrush is a brush handwriting typeface created by Laura Condouris and published by Trial by Cupcakes which is ideal for any kind of project who needs a casual, handwritten touch. It has many ligatures and alternates, and some useful tons of texture. 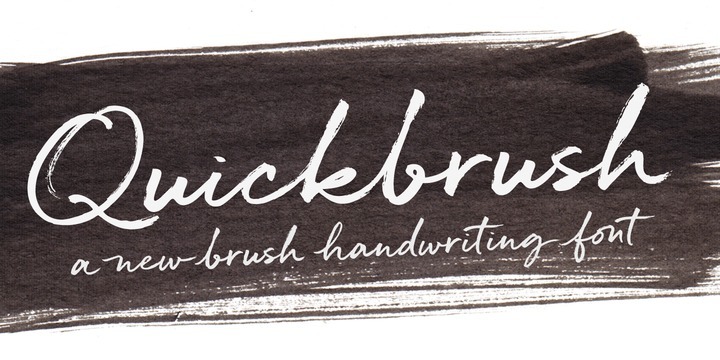 Brush up your designs with Quickbrush! A font description published on Tuesday, March 21st, 2017 in Fonts, Laura Condouris, Trial by Cupcakes by Alexandra that has 7,163 views.